Buying a used refrigerator is a good way to stretch your budget. You can usually find one in your local paper or used appliance store. Measure the width, length and depth of the space where you're going to put the refrigerator. Make sure it'll fit before you buy it because you may not be able to return a used appliance. There should be a an inch of clearance on the top and both sides. Determine which way you want the door to open. Most have doors that can be adjusted to open either way, but some older models may not. Consider the fact that a refrigerator more than 10 years old may not be as energy efficient as a newer model and may even use up to 33 percent more electricity. Inspect the door for a proper seal. If you put a piece of paper between the door and the refrigerator, there should be some resistance when you try to pull it out. If it slides out easily, the gasket could be bad or the hinges may need adjustment. Check that all of the drawers and shelves are included, in good working order and can be removed for easy cleaning. Most new models are frost free (which should be stated somewhere on the appliance). Inspect the drip pan underneath the refrigerator behind the grill. Make sure the light and control knobs work properly. You may not be able to check the temperature while it's in the store, but do so as soon as possible when you get it home. 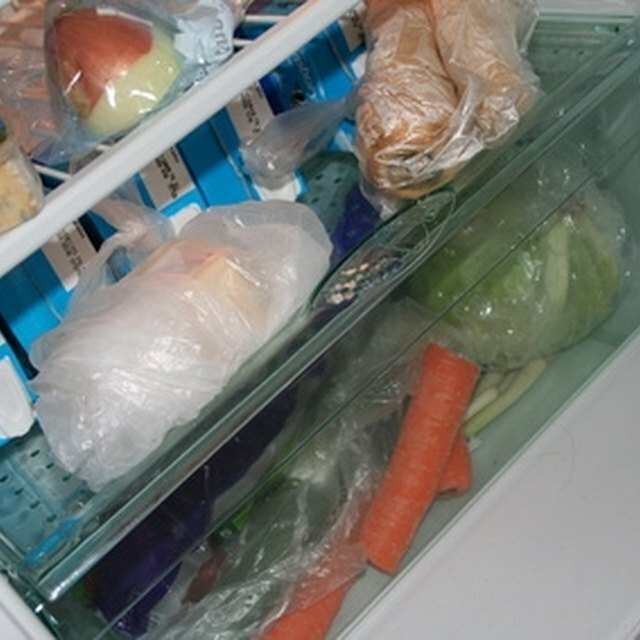 The refrigerator needs to be around 38 degrees F, and the freezer down to 0 degrees F.
Remove the back covering to look at the cooling coils. They are located at the back or on the bottom, depending on the model. If they have signs of damage or have dust and debris caked on them, excessive strain on the motor may have occurred. This is also an indication of a poor maintenance and cleaning schedule.